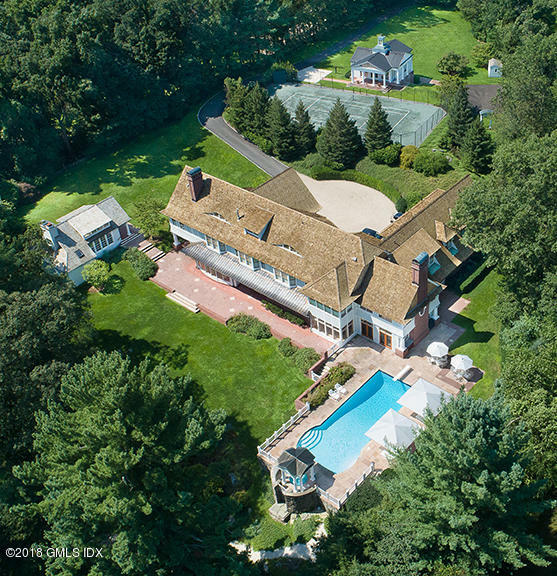 I am interested in 36 French Road, Greenwich, CT 06831. 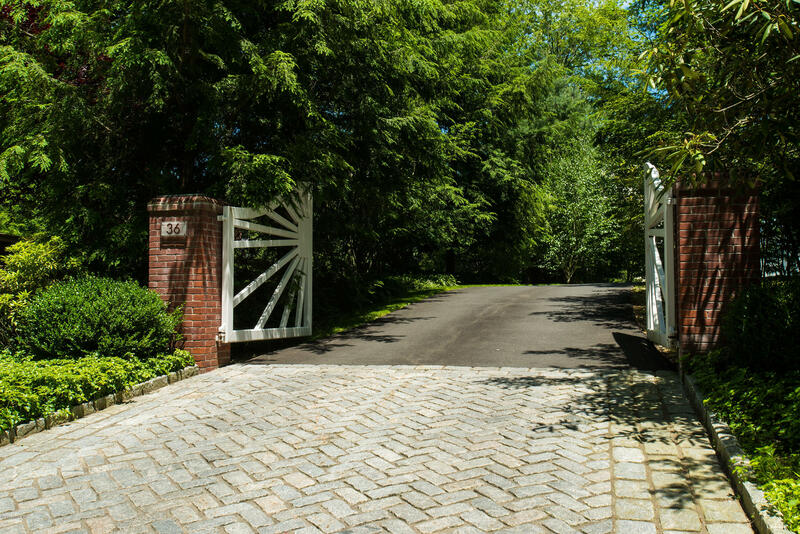 White gates open to the long driveway leading to the large courtyard. 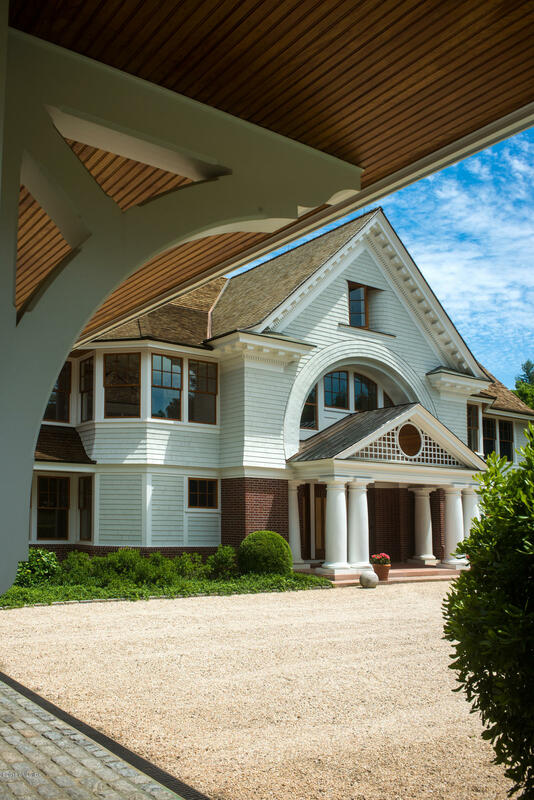 A columned portico shelters the handsome entrance door. 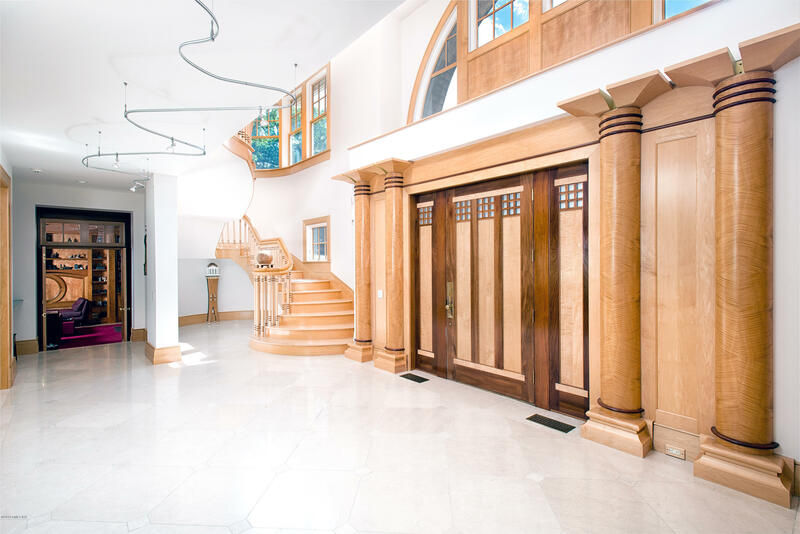 The two-story center hall has a fabulous curved stairway rising to an upstairs landing which brings amazing light and there is a sparkling wet bar and a powder room. The gorgeous living room with a fireplace has a beautiful bow window, wide board floors and access to the expansive brick terrace. 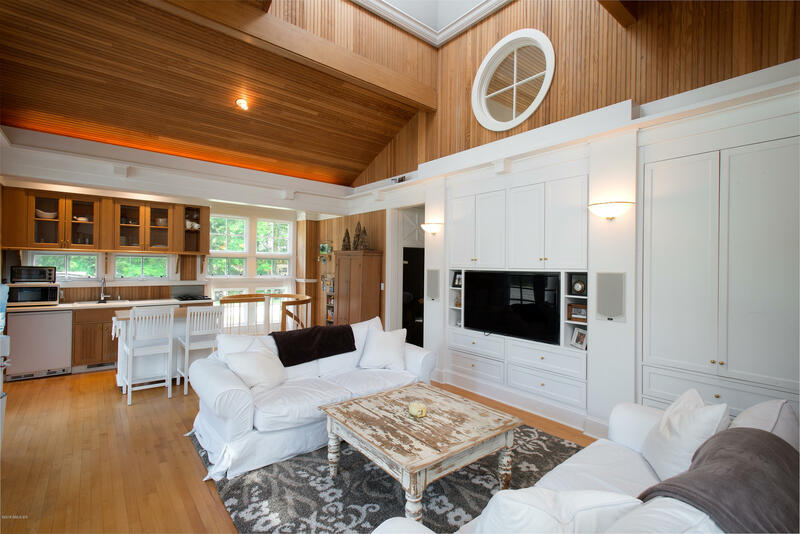 The generous dining room has a coffered ceiling and a wall of windows. 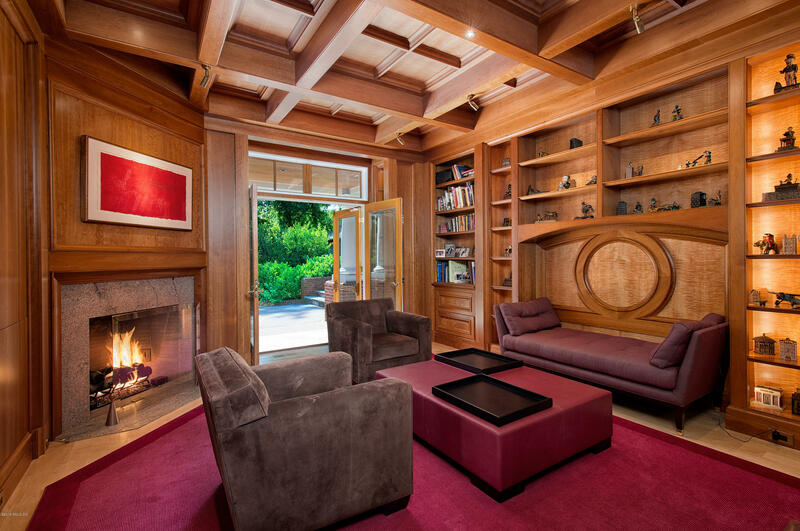 The richly panelled library with a fireplace has an intricate coffered ceiling. 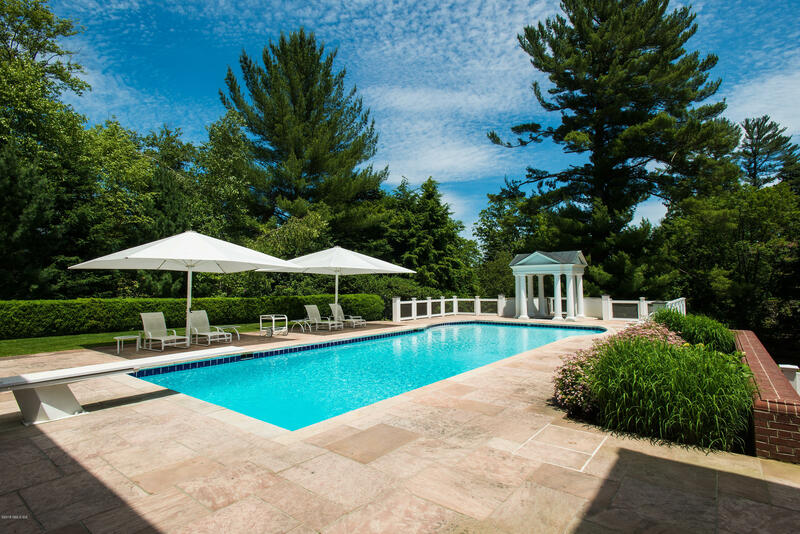 The heart-of-the-house is the amazing two-story family room with walls of windows and french doors to the terrace with huge, European umbrellas which create the feeling of outdoor rooms. The sensational kitchen opens into this room for today’s lifestyle and there is the charming glass walled breakfast room, a chef’s style kitchen with an enormous center island, top-of-the-line appliances, glass fronted cabinets which continue into a large pantry and a beautifully crafted planning desk beside a long window with a window seat, and the rear staircase which rises to the second floor balcony. There is a pool changing room with a bathroom and a door to the pool area along with its outdoor barbeque. In addition, there is the comprehensive laundry, a huge mudroom and access to the three-car garage. Upstairs the broad hallway leads to the sumptuous master suite with wonderful windows, a fireplace, two beautifully fitted dressing rooms and the memorable master bathroom with a romantic fireplace opposite the Whirlpool bathtub, a glass walled shower, and lovely built-in cabinetry. Two of the bedrooms have private stairways to study balconies, enormous closets and lovely bathrooms. 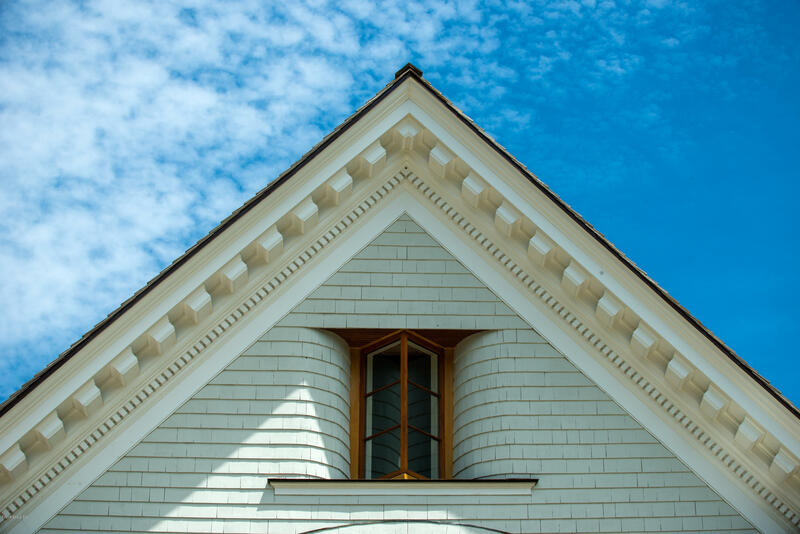 There are three additional ensuite bedrooms, an amazing balcony with a billiards room overlooking the family room, plus an exercise room with lovely views and a separate pilates exercise area. 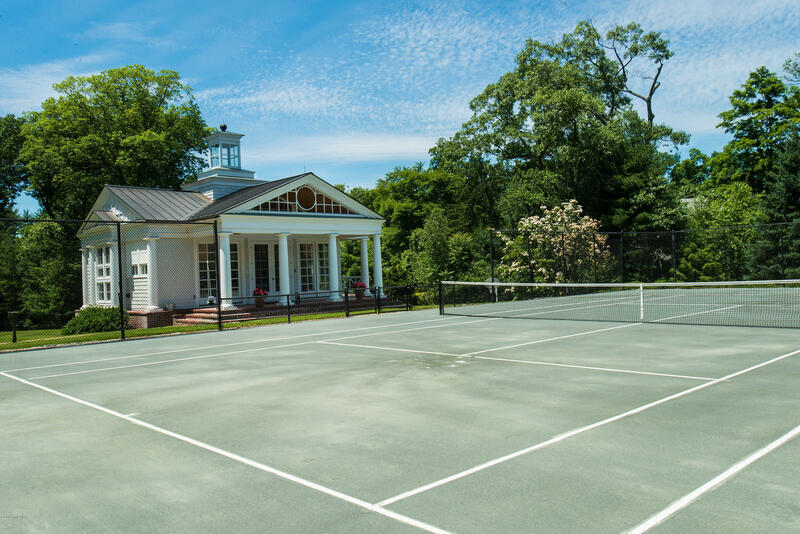 The two-story guesthouse with a viewing porch adjoins the tennis court with a living room, a wetbar, two bedrooms, two bathrooms, and a playroom. There is also a wonderful house in the garden with many uses such as meditation or as a studio with a fireplace. 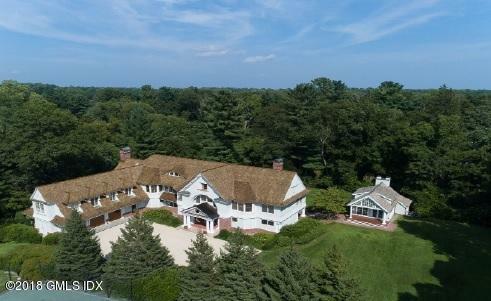 This unique and exciting property is in the most convenient of locations, close to town, designed by the noted architect Joeb Moore, built by Hobbs, and maintained to the nines! It is well worth the visit. ROUND HILL ON A QUIET SIDE LANE CLOSE TO TOWN. 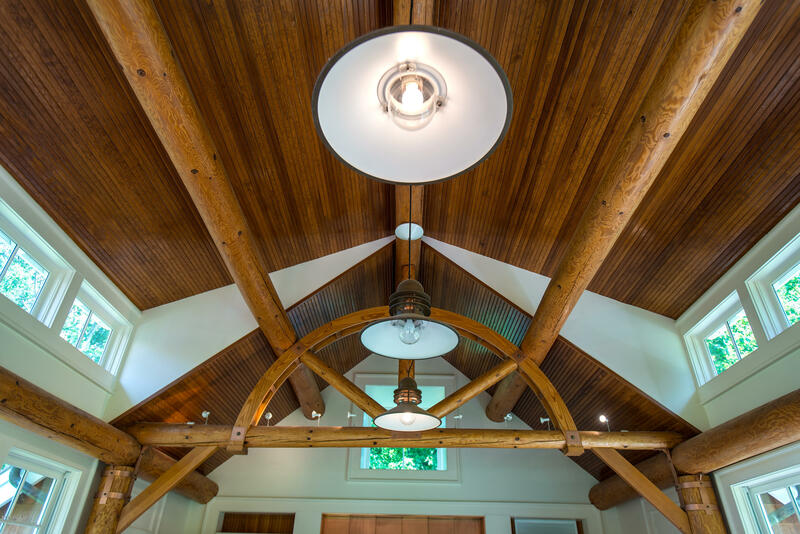 SUPERB SHINGLE STYLE HOME BY JOEB MOORE OVERLOOKS BEAUTIFULLY LANDSCAPED PROPERTY, BORDERED BY HORSENECK BROOK WITH THE SOUNDS OF A LOVELY WATERFALL. 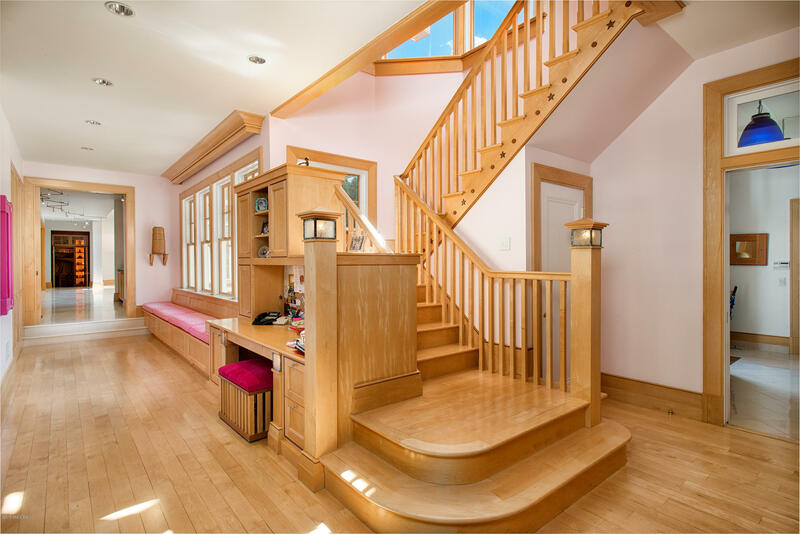 SPECTACULAR CENTER HALL HAS GRACIOUS CURVING STAIRWAY, WETBAR & A POWDER ROOM. WIDE BOW WINDOWS IN THE GRAND LIVING ROOM & THE DINING ROOM WHICH OPENS TO A VERANDAH. RICHLY PANELLED LIBRARY IS LINED BY BOOKCASES. 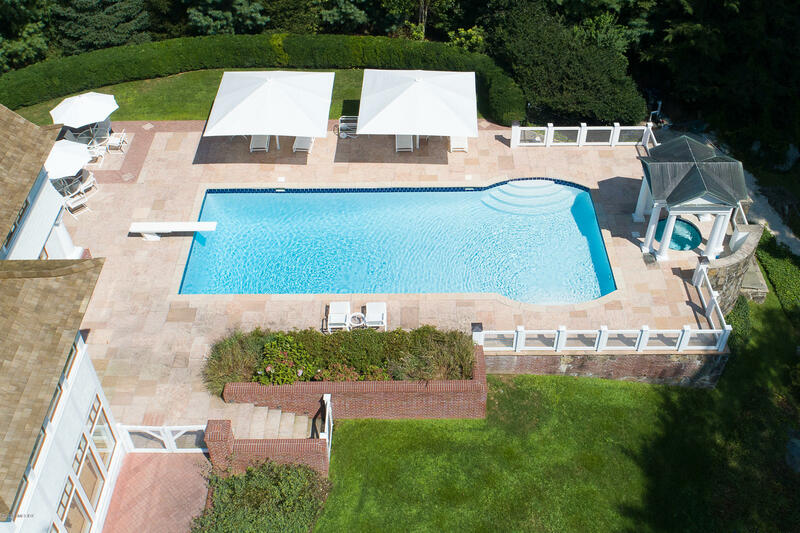 THE CENTER OF DAILY LIVING IS THE FABULOUS FAMILY ROOM OPENING INTO THE ULTIMATE KITCHEN W/LOVELY VIEWS AND ACCESS TO THE POOL TERRACE WITH FABULOUS UMBRELLAS. THE MASTER SUITE IS TOTALLY SPECIAL W/AMAZING DRESSING CLOSETS & FANTASTIC BATHROOM. BROAD HALLWAY LEADS TO ALL BEDROOMS. THE 2 BR/2BA GUEST HOUSE IS TOTALLY PRIVATE & THERE IS A SEPARATE PILATES STUDIO OR OFFICE WITH A BATH.